CES 2007 Newton Peripherals, the company behind the MoGo Mouse, a wireless optical rodent skinny enough to fit inside a PC Card slot, has introduced a version for ExpressCard 54 bays. It also showed off the world's smallest USB Bluetooth dongle. 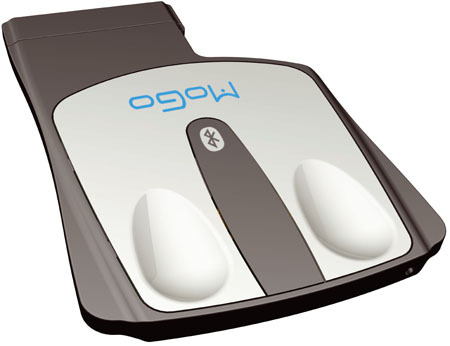 The MoGo Mouse X54, like its predecessor, has a flip down stand that raises the mouse to make it, for some, more comfortable to hold. Others may prefer to use it flat, though it's perhaps surprisingly pleasant to use either way, this reporter found when he tried it out. The mouse auto-connects when it's removed from the ExpressCard slot, inside of which it draws sufficient power to keep its battery recharged. 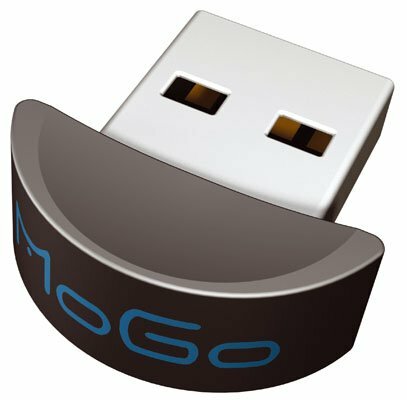 The MoGo Dapter does everything other Bluetooth dongles do, only it's no bigger in profile than a penny. It's so small, you wonder whether it works at all, but Newton insists it does, even though, when connected to a computer, it barely protrudes from the surface of the machine. It was The Reg wot won it? UK.gov is hiring IT bods with skills in ... Windows Vista?! Just nothing too recent, OK?